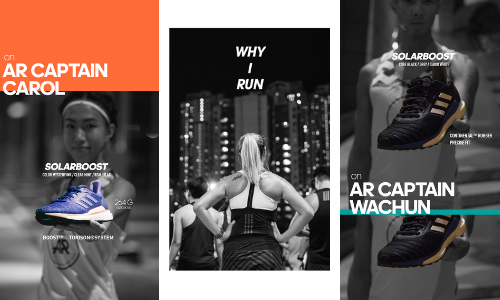 Adidas Runners Hong Kong has rolled out a social media campaign to engage with local runners through social media. Adidas Runners is a running community led by running enthusiasts around the world in more than 50 cities. The Hong Kong community was launched 2017, with around 1,400 current runners. It organises regular running events open for public registration, such as Fat Burn Run, Tempo Run, and Strength Training. As part of the campaign, adidas Hong Kong launched the “Running Is…” thematic video, featuring some of the long-time supporters of the adidas Runners Hong Kong community. The video has accumulated 326,973 views on YouTube at time of writing. This is a social-first focused campaign which is being deployed via Facebook, Instagram, and to in-store video walls. In addition to the thematic video, the campaign also features over 30 Instagram stories to connect with the brand’s millennial runners, who are active on Instagram, with an aim to sustain a continued conversation among the adidas Runners community members. The IG Stories also act as a timely reminder of upcoming adidas Runners events to the targeted audience. The brand adopted the bottom-up approach to facilitate brand engagement within the team. To show appreciation and support to the adidas Runners running team “captains” – who are also the loyal supporters of the community – the campaign features tailor-made IG stories for the captains to post on their Instagrams. Yata is rolling out a new supermarket in Tsuen Wan Plaza in the coming weeks. And to entice shoppers – especially fanatics of the ..
Loyalty programmes can draw in a huge portion of business – but a good one needs proper objectives to guide it. Top brands reveal ..
Brands are no longer just names on the products consumers buy; they have become tools that help establish young people’s sense of ..